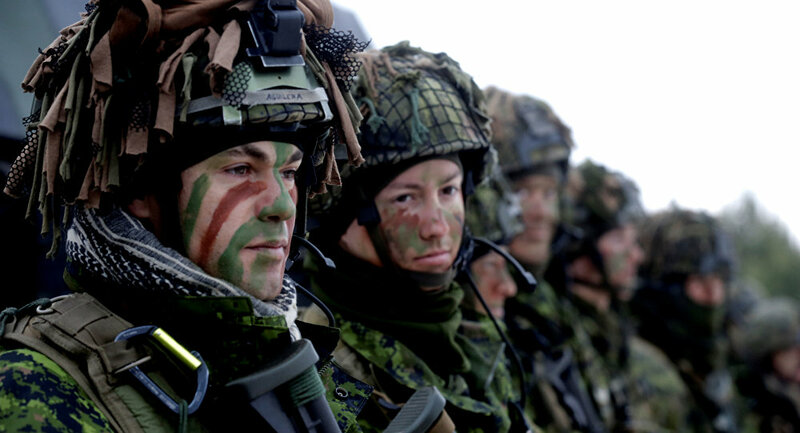 The Lithuanian Defense Ministry said that the first troops of the international NATO battalion formed under German leadership for deployment in Lithuania are expected to arrive in the Baltic republic in late January. VILNIUS (Sputnik) — The first troops of the international NATO battalion formed under German leadership for deployment in Lithuania are expected to arrive in the Baltic republic in late January, the Lithuanian Defense Ministry said Thursday. "As it was planned, the first servicemen of the international battalion under the German leadership will arrive in Lithuania in late January," the ministry said. Earlier in the day, Lithuanian Defense Minister Raimundas Karoblis held a meeting with NATO Deputy Secretary General Rose Gottemoeller, and said that the country is taking all necessary efforts to provide the international battalion with all necessary infrastructure. Since 2014, NATO has been building up its military presence in Europe, especially in Eastern European countries neighboring Russia, using Moscow’s alleged interference in the Ukrainian conflict as a pretext. Moscow has repeatedly denied the claims and warned NATO that the military buildup near Russia’s borders is provocative and threatens the existing strategic balance of power. At the NATO July summit in Warsaw, it was decided that the military alliance would send multinational battalions to Latvia, Lithuania, Estonia and Poland at the request of these countries.